News for American Dutch: more time for SSN application to avoid the closure of their Dutch bank accounts. 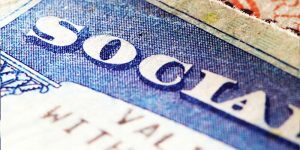 The joint efforts of the Dutch ministry of finance, Americans Overseas and the Dutch banking association NVB have resulted in a longer transitional phase, in which American taxable persons living in the Netherlands can apply for a Social Security Number SSN number. This means that from September 2017 onwards they will have more time to complete necessary steps to avoid the closure of their Dutch bank accounts. The American Internal Revenue Service (IRS) has announced that penalties for banks, which have American taxable persons without social security numbers (SSN) as clients, will be delayed until 2019. As a result, American-Dutch have more time to apply for a SSN. A SSN is required to submit a US tax declaration. 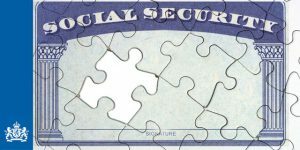 The social security number SSN is comparable to the BSN (burger service nummer) in the Netherlands. The IRS’ policy of penalizing banks threatens to have counterproductive effects: In the short term, banks could be forced to stall their financial services to existing clients without a SSN or refuse new ones. From September 1st 2017, bank accounts of American-Dutch have faced a substantial risk of closure. Tens of thousands of American-Dutch may have faced an immediate interruption of their banking services. Investment banks such as Binck and Alex have not accepted any new American-Dutch clients for years, due to the foreseen complications with IRS policy. This problem has been forestalled at least until 2019, as the IRS clarified on September 27th 2017. It remains of utmost importance for American-Dutch to apply for a SSN as quickly as possible. The US tax department’s deferral is tied to very strict requirements on the side of banks and ultimately banks must still provide all requested information. This temporary relaxation of the IRS’ policy in the form of a deferral is the result of the combined efforts of the Dutch ministry of finance, Americans Overseas and the Dutch banking Association NVB. Since July 2014, new US tax regulation (FATCA) obliges overseas financial institutions to report data of clients who are taxable persons in the States. 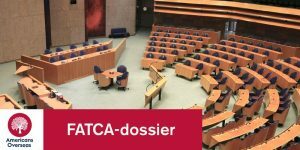 The Dutch and US governments have made agreements regarding FATCA on the basis of which Dutch banks are also required to comply to the regulations. They are required to verify whether a client falls under the scope of US tax policy; in such cases they are obliged to provide information to the US tax department IRS, with the Dutch tax department acting as liaison. Within this new regime the US has the right to impose severe fines for banks which do not comply or submit incomplete data. Within the most recent IRS directive, Dutch banks are still required to provide information on a yearly basis, yet are exempted from offering their clients’ SSN under strict conditions. These conditions specify that the bank provides all names, addresses, account numbers with respective highest balance for all their taxable American-Dutch clients. Data of American-Dutch with a Dutch bank account, who have not yet responded to the call of their banks to share information such as their SSN, will nonetheless be referred to the IRS. Furthermore, banks are required to inform their clients at least once a year of their responsibilities. Banks are also charged to review digital files to locate missing data of their American-Dutch clients. Under these conditions, American taxable persons in the Netherlands gain more time to apply for a SSN. It goes without saying, that it remains very important for American Dutch to apply for a SSN and provide it to their bank as soon as possible. With loopholes being closed, it is becoming increasingly difficult for American Dutch to uphold claims of lacking information or ignorance. The IRS offers various amnesty procedures based on willful or non-willful violations of US tax code. American Dutch are always required to submit US tax declarations – in most cases, however, they do not incur any taxation on their income. Need more information on applying for a SSN as American Dutch? The United States are the only developed country which globally taxes its citizens based on citizenship instead of residence. This includes US nationals with and without passport, green card holders and others. You can find more information on requesting a SSN here. Do not hesitate to contact Americans Overseas for more information.